Luxury 26 bedroom beachfront Villa Kalyana is a lush, majestic and exclusive estate featuring a private pool in beautiful Laem Sor, Koh Samui. 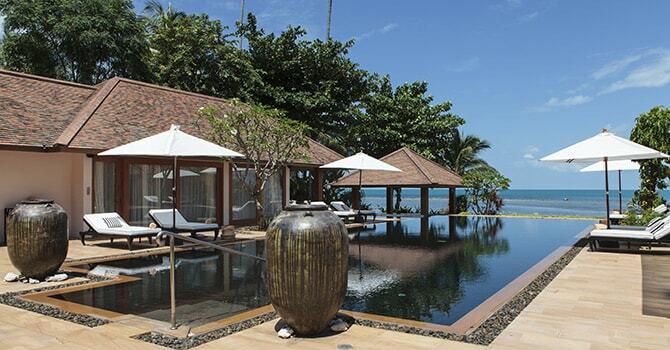 Luxury 6 Bedroom Beachfront Ban Mekkala is a stunning tropical estate on the pristine beach of Leam Sor, Koh Samui. 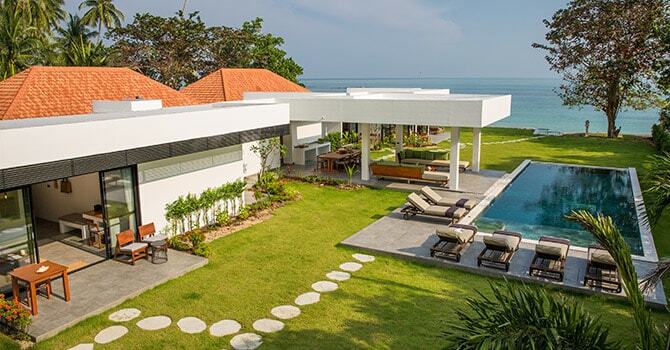 This luxury 6 bedroom villa located directly on Laem Sor Beach features a sparkling oversized infinity pool and a convenient children's bunk room. Kirana Villa by Pavana, luxury 6-Bedroom Beachfront villa, embodies taste and style on the tropical beach of Koh Samui's Southern Coast. Luxury 6 Bedroom Beachfront Villa Baan Wanora sits on the shimmering sands of Laem Sor Beach, Koh Samui on lush tropical grounds. Laem Sor is a tranquil & secluded beach in the south of Koh Samui, with views across to the Angthong Marine park islands. The beaches are not swimmable with their shallow water, but here all the villas come with every possible amenity you could need. 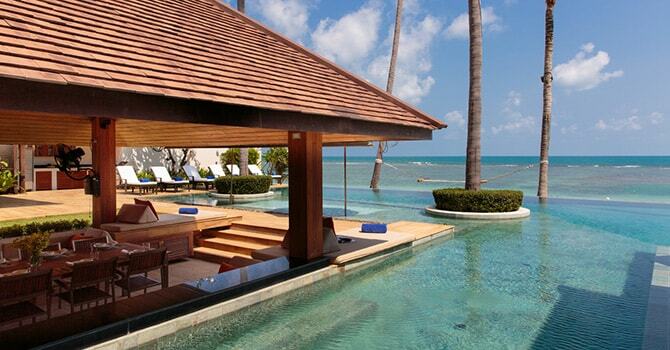 The villas are their very own private resorts with amazing facilities and beachfront grounds. Nearby are luxury resorts like Kamalaya which is one of the most awarded destination spas in Asia. The laid-back atmosphere of Laem Sor makes it a perfect place to sit back & enjoy your private villa. 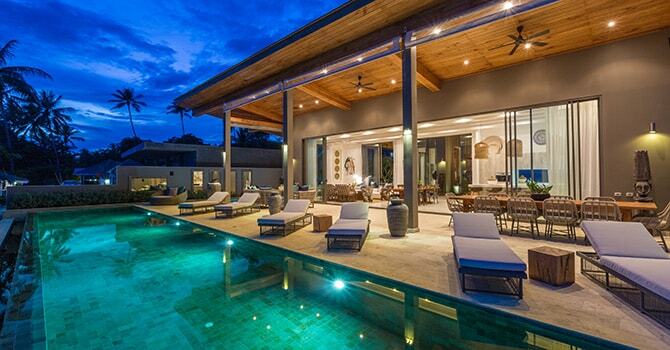 All the villas here are beachfront and luxury. And all share the deserted beach, and the stunning views across the Gulf.